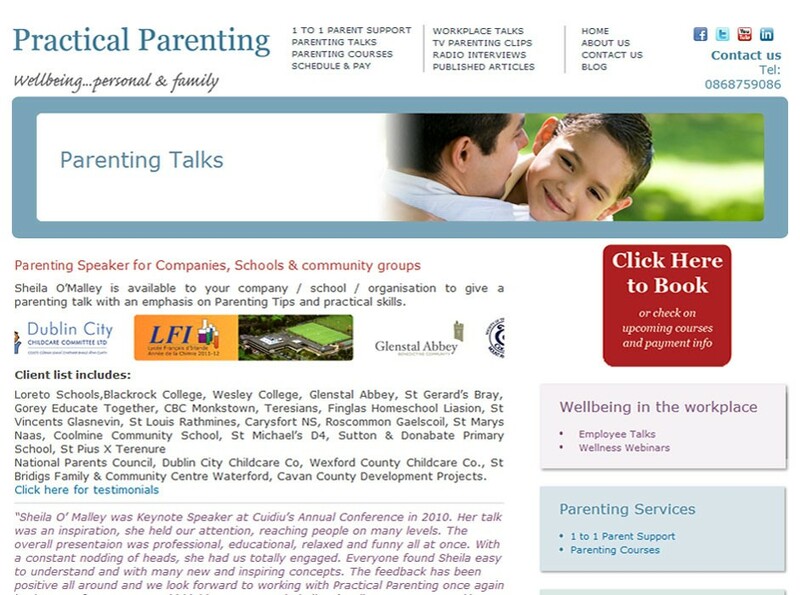 The Practical Parenting project was implemented using design and style guidelines given by our client. Practical Parenting is the site of the Parent Mentor, providing unique parenting courses in Ireland. 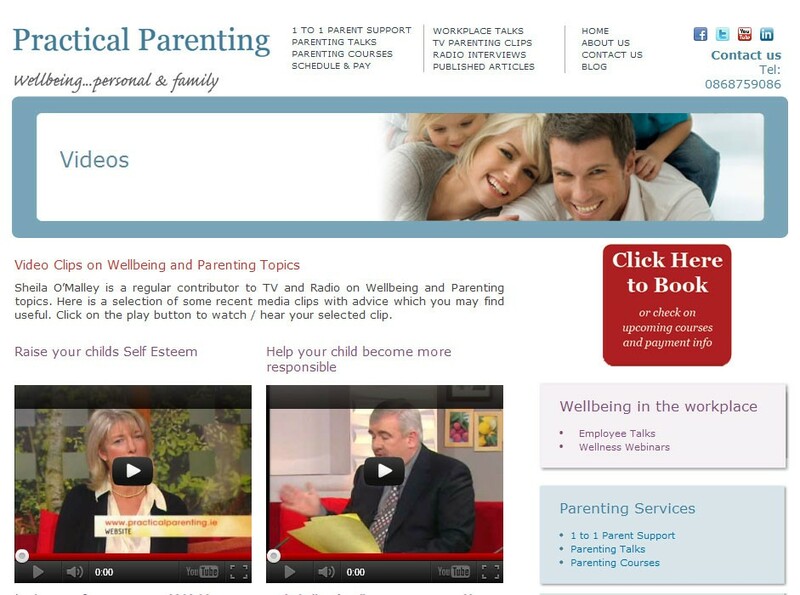 The site features helpful articles in both HTML and .pdf formats, as well as video tutorials. 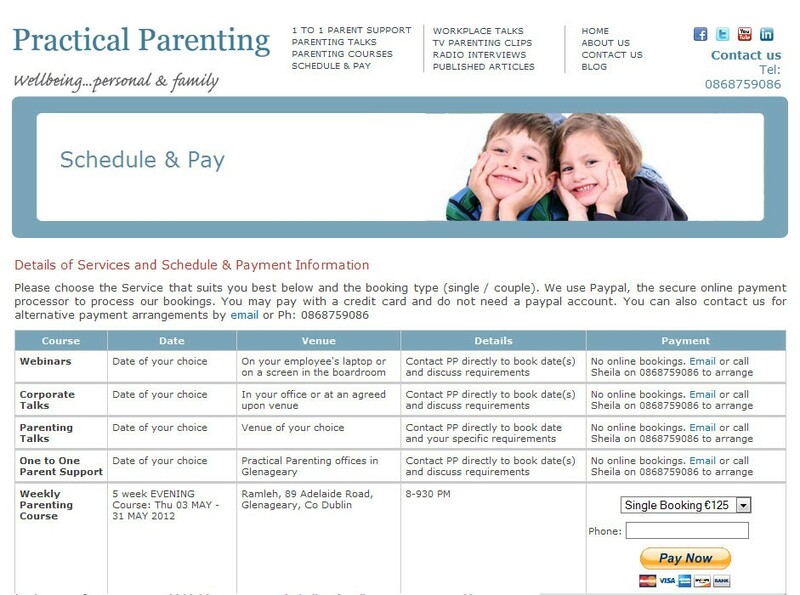 We implemented a convenient PayPal system for booking courses and payment of fees. 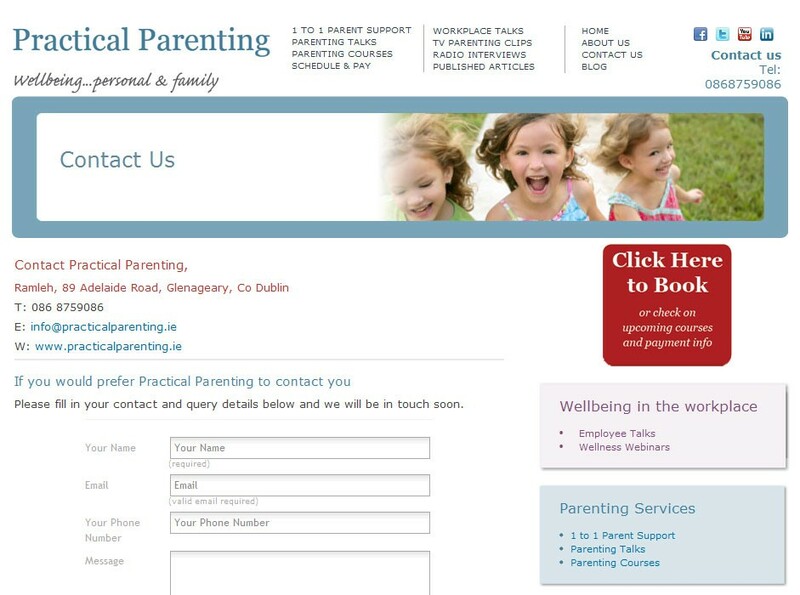 The website was SEO optimized and it reached the TOP-10 and even TOP-3 in Google Ireland for the target keywords within a couple of weeks after its launch. Service provided: Development, Project Management, SEO.